Written by Sue Park on September 23, 2016 Blog, How to sell online. Shoppers’ preferred payment methods vary by country, so it’s important to understand what’s best for each market you’re targeting. While many foreign shoppers pay online with credit cards, there’s no single solution that works for everyone. The most appropriate solution for your business might be to offer multiple payment options, or to limit the number of countries you sell to. No matter which method of payment processing your merchant service provides, you should make your customers feel at home by listing prices in their local currencies. 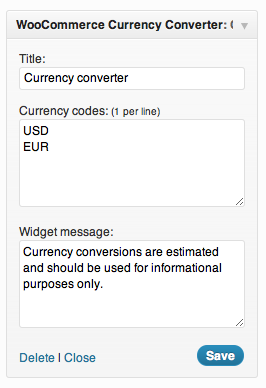 WooCommerce lets you list products in a number of different currencies via the optional Currency Converter Widget. This substitutes the displayed prices in real time with the local currency equivalents. This WooCommerce widget allows you to show global customers prices in their local currency (even though they’ll still pay in yours). Remember that checkout is still done using your store’s base currency. 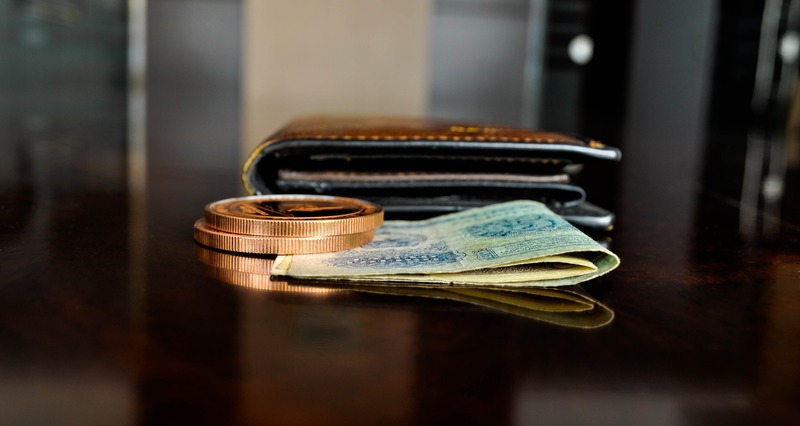 However, the preferred currency is stored and shown on all product pages and at checkout. Giving your international customers the comfort and convenience of paying in their own currency is largely a function of your chosen payment gateway. Determine if your payment gateway lets you accept international transactions. If so, find out what flexibility they give you to accept payments in foreign currencies. Some gateways only allow you to accept payments in your local currency (say, U.S. dollars). For your foreign customers, of course, this isn’t the preferred way to pay. Customers saw the products listed in their local currency, so they might not be happy to learn that they must pay in yours — not to mention the unhappy surprise of the currency conversion fee or foreign transaction fee. However, accepting only your own currency is probably the simplest payment method in terms of settlement and accounting. Note that you’ll still most likely be charged a foreign transaction fee, as well as pay a higher discount rate on the transaction. Sometimes it’s possible to take payments in several major currencies. The benefit for your global customers here is a better user experience and a smoother checkout, as they can pay in a currency familiar to them, and in which they’ve just seen your products listed. For you, this may mean higher sales. Giving shoppers a chance to choose their currency could be just what you need to boost your sales. Usually, you’ll have two options for this: you can keep the payments in the foreign currency, converting them at the time of withdrawal from your merchant account, or you can automatically convert the currency at the time of the transaction. Finally, remember that each credit card has their own rates for currency conversion, which may or may not be reported in the conversion fees from your merchant service. Make sure you know what that is before you start selling, since you might want to build this fee into your product pricing. In addition to credit and debit cards, there are several other ways to accept international payments, each with its own level of risk. You should balance the risk to your business against the convenience it provides to your foreign customers. 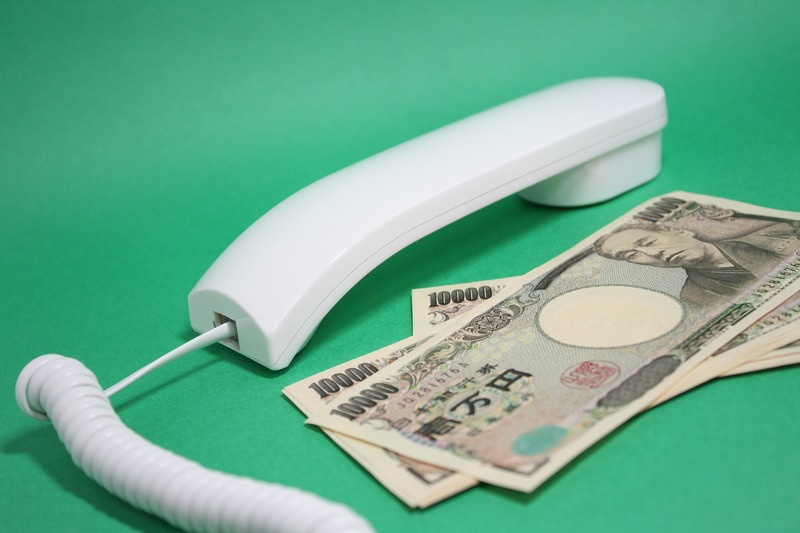 A wire transfer is one of the more secure ways to receive payment from international shoppers. On your website or invoice, you provide routing instructions, including your business name and address, business bank name and address, SWIFT code, ABA routing number, and account number. The sender wires the funds from his or her own bank directly to your bank account. For this they’ll pay a fee, which can be sizeable, and could put them off from making a purchase. Moreover, wire transfers can be tricky to trace: if any of the account details were entered incorrectly, and the money is wired somewhere other than your bank, it can be tough to figure out exactly where it went. For a money order, a customer goes to a bank, shows an ID, and gets a money order either in their local currency or in your currency, which they then mail to you. The entire payment process can take several days, and there’s a risk of it getting lost in the mail. Moreover, counterfeiting of international money orders is a significant issue. If you decide to accept money orders, you should consider accepting them only from customers with whom you have a history. You should also familiarize yourself with how to spot fake ones. See the United States Post Office website for details. COD is the preferred way to pay in some countries. Fortunately, several global shipping companies now provide this service, taking on the risk of non-payment in exchange for a percentage fee of the sale. These companies usually give your customers several options as to the method of payment, including currency, guaranteed funds, checks, and money orders. PayPal lets you sell to 169 million customers in over 200 countries and accept 26 currencies via credit card, debit card, and PayPal. WooCommerce has multiple PayPal extensions you can use depending on your needs. Compare your options before making a choice — use this chart to pick the PayPal solution right for your store. PayPal converts your customers’ local currencies to your own, either at the time of the transaction or when you withdraw the money from your account, for a small fee. Buyers logging into their PayPal accounts to pay for an order will automatically see the price displayed in their local currency. Finally, in addition to determining the most appropriate payment method for your store and its customers, you’ll need to make sure you have a good understanding of (country-specific) taxes, duties, and customs. Most likely, each country you’re selling to will levy a tax on the goods sold. The most common foreign tax is VAT (value-added tax), which is charged by most of Europe, Canada, China, India, most of South America and Africa, and other countries. Before selling and shipping internationally, confirm if your products will be subject to VAT. Each country has its own VAT rules, so you’ll have to check on these, and look up the steps you must follow to register and file your returns. Check out the official website for VAT government agencies, Value Added Tax blog, for more information. Fortunately, WooCommerce can also help. The AvaTax extension for WooCommerce determines VAT for transactions in 193 countries, leveraging a constantly updated database of rules and exceptions. A peek under the hood at Avalara’s nifty tax extension — why do things by hand when you can have it handled for you? Many international customers are used to seeing products listed online inclusive of taxes or VAT. If your product prices are listed without taxes or VAT, make sure to note this on your product pages so that they aren’t surprised by the additional fees at checkout. Finally, depending on the type of store you’re running, customers in European countries might request (or even expect) an invoice with your VAT Registration Number to be made available post-purchase. 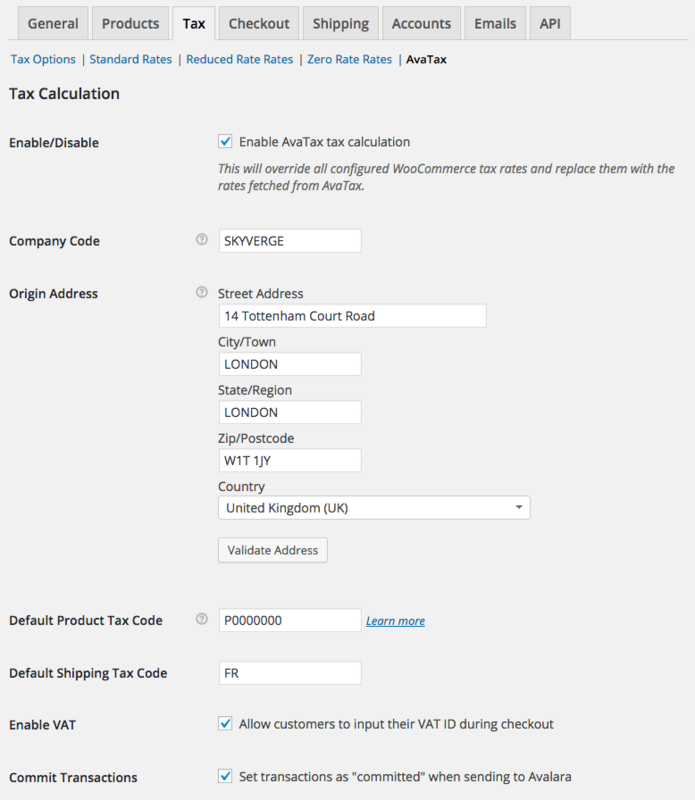 You can use a WooCommerce extension to generate this in PDF format, and place your VAT number (or other tax info) manually in the custom fields. A customs duty is a tariff or tax imposed on goods that are transported across borders. The purpose is to help protect the import country’s economy, jobs, etc., by controlling the flow of goods coming in. Each article coming into the country has a different duty amount associated with it, so you’ll have to check the duty for each product you sell. Many international shipping carriers offer the option to pay duties before an item is shipped, which is often referred to as Delivery Duty Paid (DDP). Alternately, your customers can defer duty payment until the item is received in their country, often referred to as Delivery Duty Unpaid (DDU). Regardless, always make sure your customers are aware that additional duties charges may apply and that it’s their responsibility to pay these fees before they can collect their goods. Selling internationally presents some incremental risk, due to the uncertainty around payments combined with the uncertainty of receiving the merchandise. While none of these warning signs automatically mean an order is fraudulent, if something seems too good to be true, it probably is. When in doubt, contact the customer to verify the transactions. Something seem a little suspicious about that order from overseas? It’s worth giving the customer a call to verify instead of merely hoping for the best. Like traveling abroad, selling internationally through your eCommerce business can be a rewarding adventure. It gives you the opportunity to learn about other countries and cultures, and to build relationships with customers around the globe. When you’re ready to get started selling internationally, check out the International Trade Association at trade.gov and the U.S. Commerce Department at commerce.gov for more helpful advice. And for tips on creating an international sales strategy, check out the PayPal PassPort site. Have any questions about what you should be considering before taking payments from international customers? Or any advice of your own to share? Let us know. i just want to know why people who lived in africa like senegal as country can’t implement paypal ? i needs for card , online payment with local bank support ? Very informative article and i totally agree with your discussion point. Yes we need multiple payment methods to make E commerce more convenient but we should also monitor the suspicious payment activities as you mentioned. As an online seller i have faced huge problem for selling online from out of western and Europe. Your post is very effective for new seller because of lots of information you wrote in this article. Good to hear we could lend you a hand Norma. If there’s any information you think we’re missing or could write about in the future, please let us know — we want to help you solve those problems. Thanks for sharing a very informative article. I agree with your discussion point that we need multiple payment methods to make E-commerce more convenient, Paypal is the most common most of businesses but for me I prefer creationshop.com.